I recently went Tova crazy! I have loved this shirt since I made my first one last February. It is the perfect fall shirt so as soon as the weather turned cold, I decided to whip up a couple more. The Tova pattern by Wiksten is a flattering, but loose fitting shirt with 3/4 length sleeves. It is an advanced beginner pattern - it will be easy for you if you have experience with gathering. For my first Tova, I choose this beautiful, limited-edition Liberty of London print. This haberdashery print is very vintage-inspired and pairs perfectly with the Tova pattern. I decided I wanted a more demure look for this top, so I finished it with some sweet little black rose buttons. 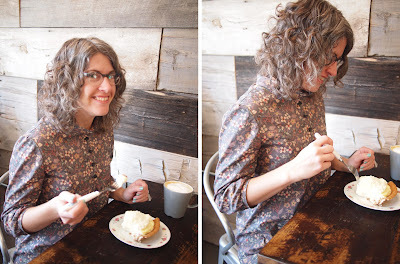 The result is a feminine top that makes me think of Jane Austen, so naturally I love it. 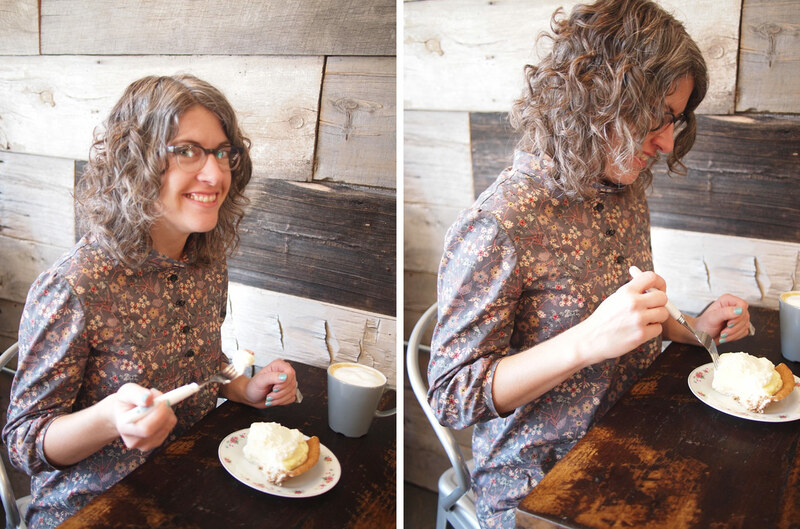 I took my new shirt out to the brand new Humble Pie Store to try some pie during our photo shoot. The results: cute and delicious! My second Tova is made out of the new Denyse Schmidt Chicopee Corduroy prints. OMG, I love these corduroy's so much! They are a featherwale which means they have the tiniest wales to make the softest, most velvety corduroy. The fabric is fine enough for garment construction and did great even with all the gathering. 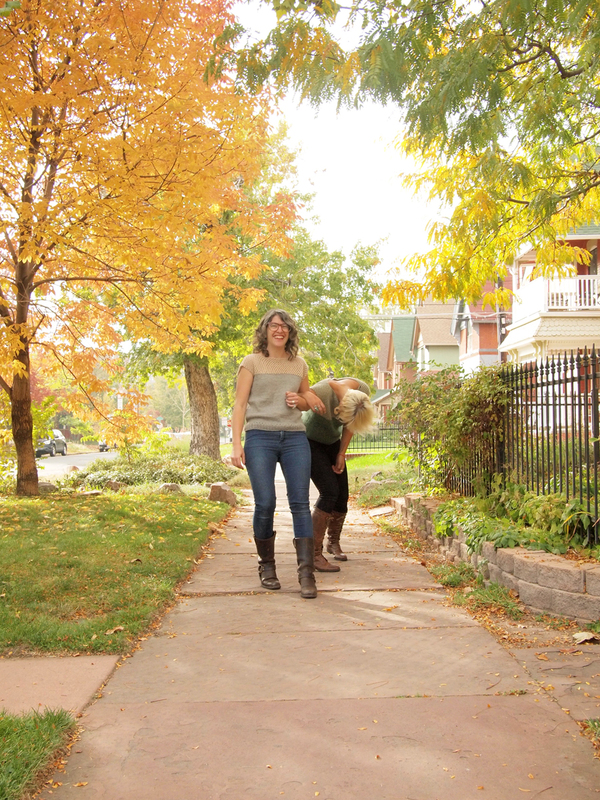 The result is a cozy and warm Tova, perfect for crisp fall days. I love closures high on my neck so I added some snaps on the inside of the front placket to make the neckline. Result = perfect! If you want to make this shirt, but are intimidated, we are offering it as a class this winter! Check out the deets here. New self-striping yarn is here from Cascade! 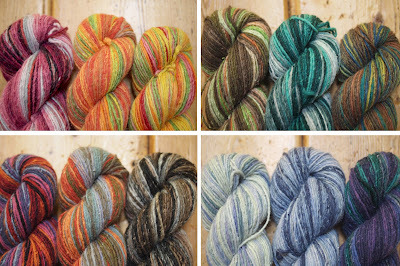 Casablanca is a silk/mohair/wool blend that knits up with a pretty ombre striping action. 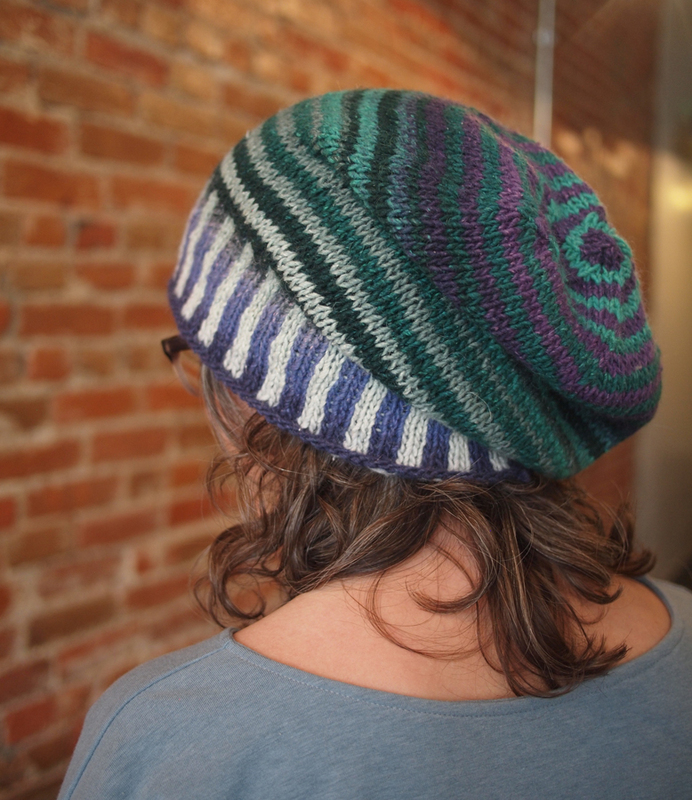 We couldn't resist knitting up Dull Roar's Phoncible hat pattern in Casablanca and it turned out great! The pattern uses two skeins, and we used the colors "Peacock" and "Teals". We love it and hope you do to! 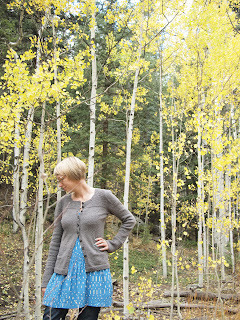 I just made the Kelly Skirt by Megan Neilsen and it's so easy and so cute! 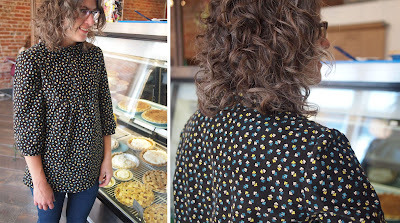 I used a Kokka fabric--a 1970s Americana inspired denim print--that works perfectly with this simple button front skirt pattern. 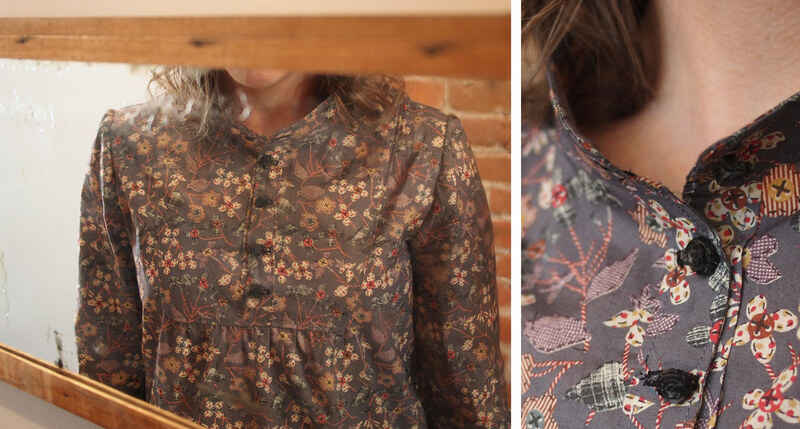 Seven bone buttons give it an adorable old-time finish. 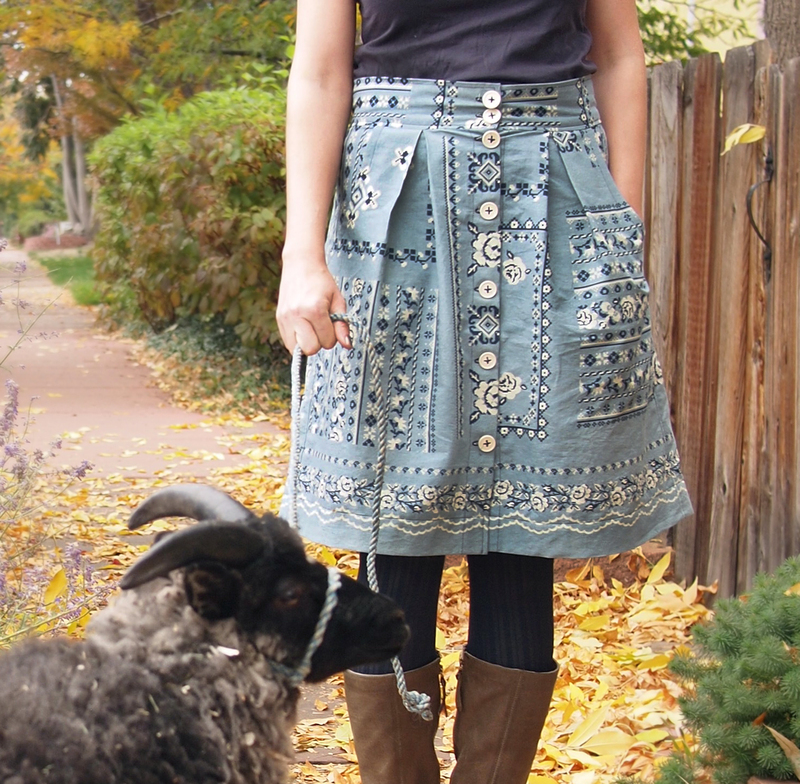 It's the perfect skirt for taking my cute friend Marshall the Shetland on a walk! Adorable new denim skirt? Check. 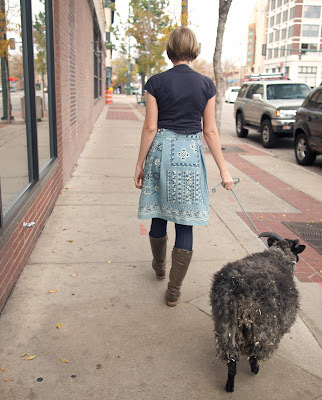 Urban sheep walking? Fun to the max! 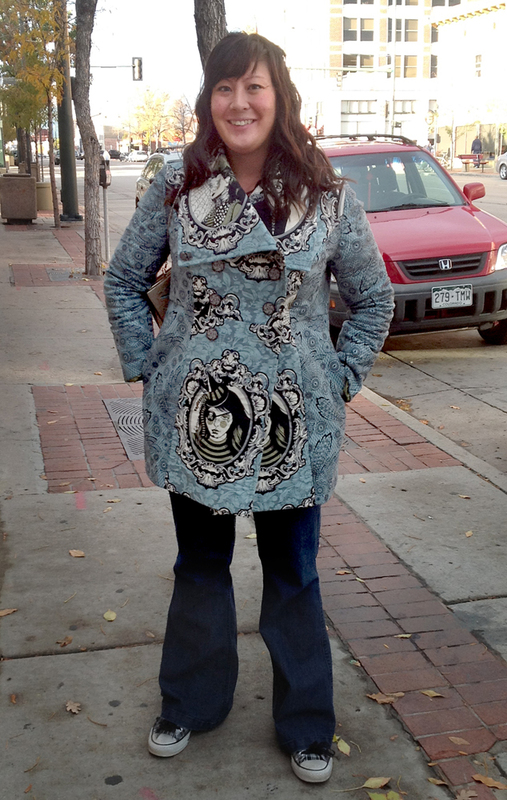 Lindsay is ready for wintery weather--she just made one of the most adorable jackets we've ever seen! Tell us about your amazing coat! I used fabric from Tula Pink's Nightshade collection. I made a pattern to fit the fabric. I was inspired by the pirate girls and wanted to showcase them. 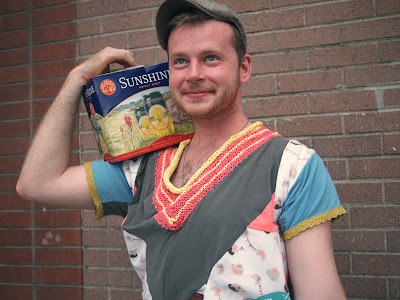 What makes you want to be so crafty? I have an overdeveloped sense of style, so I like to create things that suit me. I sew, paint and make jewelry. My mom made me the most beautiful dresses for every occasion as I grew up. I've been watching her my whole life and have modeled myself after her. Jaime + Jess's Transcontinental Skipping Sweater Knit-a-long! Jess moved to LA back in April. 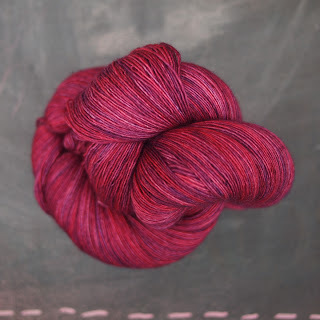 When she called us to order some Road to China Light yarn for a new sweater that I too had my eye on making, I told her we could have a transcontinental knit-a-long! The sweater pattern is the Cap Sleeve Lattice Top from Purlbee. The pattern is available online for free and suggests Madelinetosh dk, but Jess and I were excited to try out our new yarn from Fibre Co. so we both used Road to China Light for ours. You probably know that I am a fan of "rustic" wool yarns so knitting with Road to China Light was like making magic out of air. 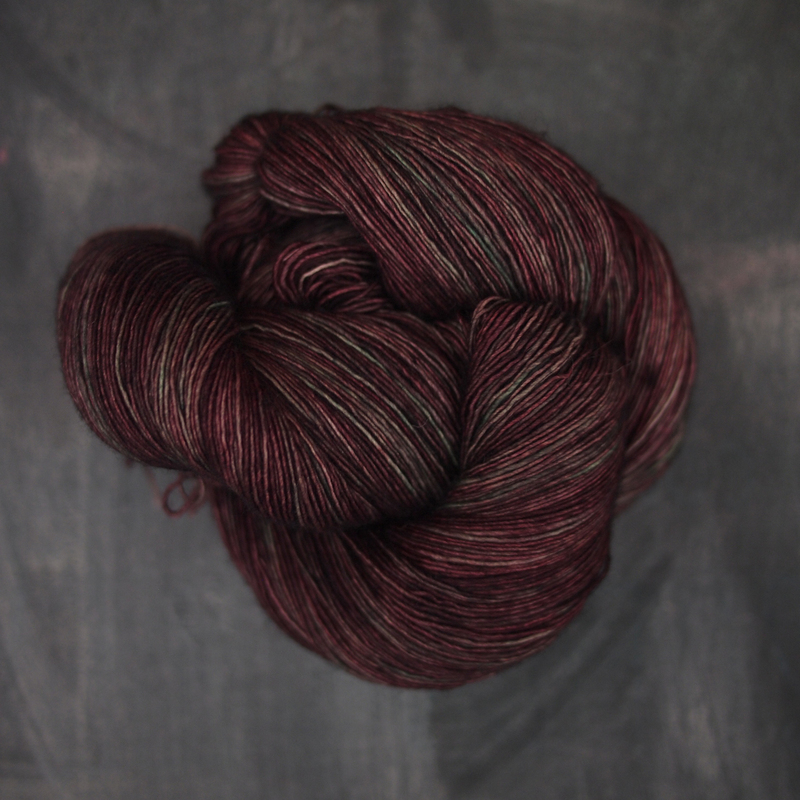 This sport-weight yarn is a luscious blend of alpaca, silk, cashmere and camel. Holy Smokes! That's a lot of really soft animals to lend their fiber to my sweater! I had some gauge issues with this one. Road to China Light has much more drape than the yarn Purlbee called for, so I had to adjust my size a bit to make the top work. 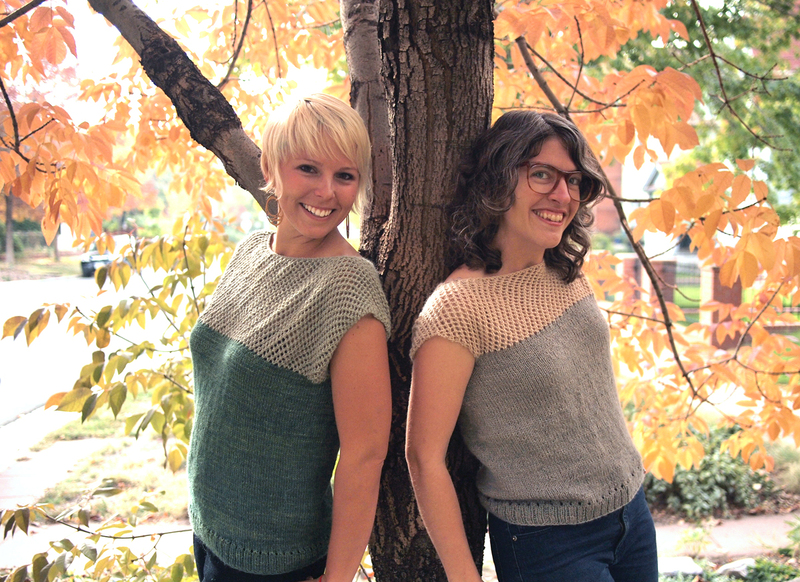 The pattern has you knit the sweater in one long rectangle that you then seam on the sides. Jess and I both choose to knit ours in the round, which only required a tiny bit of re-working. This allowed me to try my sweater on as I went to make sure it would fit with my gauge and the stretch of the yarn. I choose colors almost identical to the ones the pattern is done in - Riverstone and Grey Pearl in Road to China Light. It turned out great. 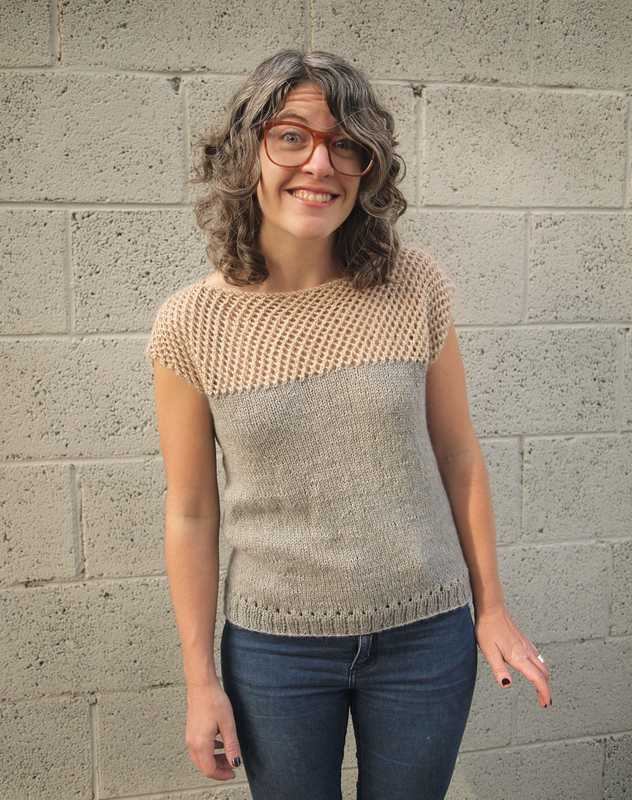 I love the look of this sweater - it is a flattering fit and interesting with the lattice top. Oh, also, it was soo easy! Advanced beginners could easily make this top and it hardly took me any time at all! Love it. It is the softest thing I have ever worn, so you might consider making one if you like to wrap your body in clouds. 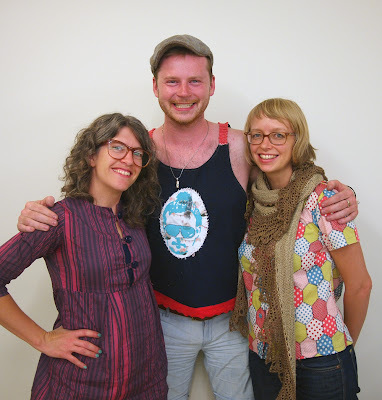 Jess's sweater is also a smashing success! She choose the colors Jade and Malachite. It looks amazing and fits her great! It was so awesome that she was able to visit this weekend so our sweaters could meet in person. Transcontinental KAL's are the best!! 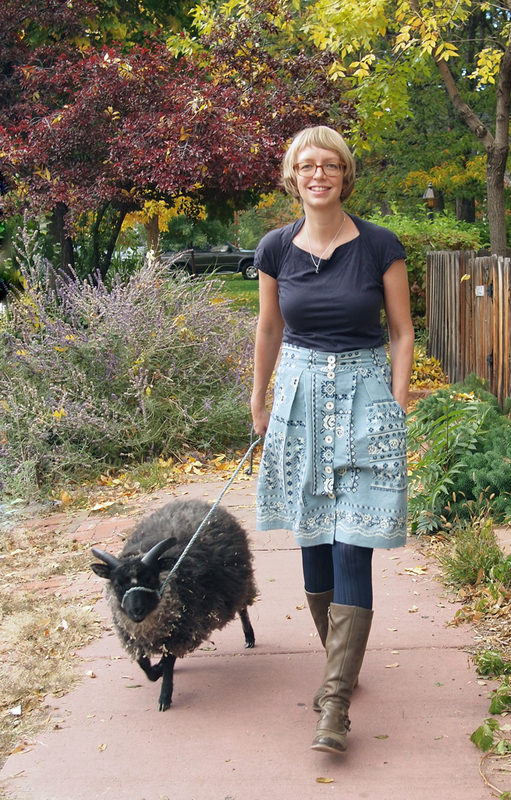 1) Pure Wool: a guide to Using Single Breed Yarns Sue Blacker - Sue Blacker is the woman behind one of our favorite yarn companies that we work with, Blacker Yarns. She produces single-breed wool yarns from primitive breeds, buying fleece from small farms in the UK. We love them. 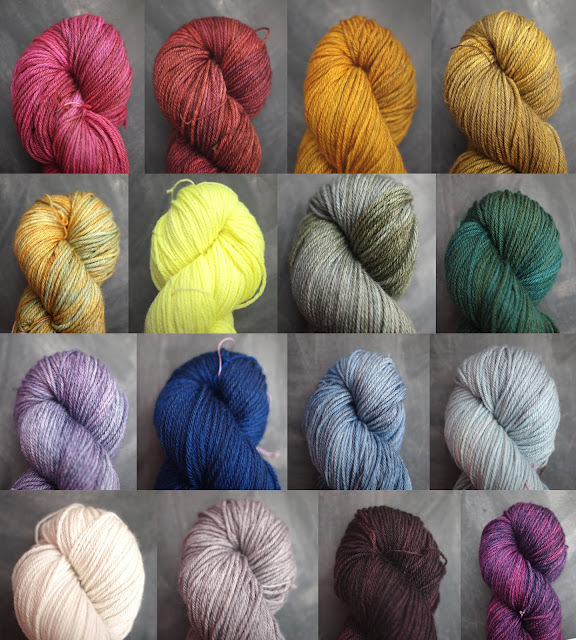 Now we have a beautiful book that talks about properties of each of these yarns and gives a pattern for each one - rejoice! 2) We Make Dolls Jenny Doh - Jenny Doh has collected patterns for soft dolls from today's top dollmakers such as Danita, Mimi Kirchner and Sasha Pokrass in her new book. 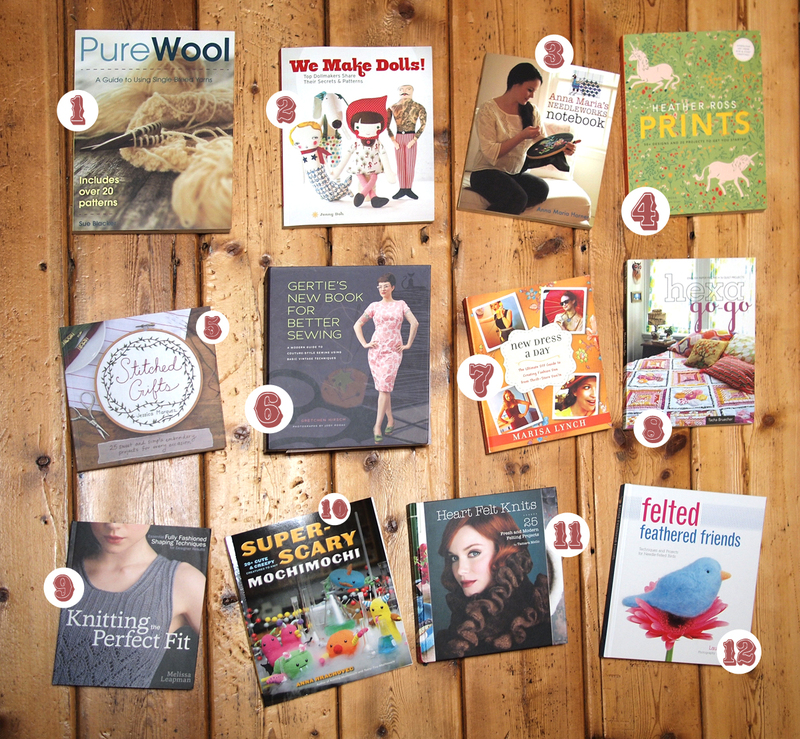 They are all truly amazing and unique - a must have book for doll or soft toy enthusiasts! 3) Anna Maria's Needlework Notebook Anna Maria Horner - We have been awaiting this book ever since Anna Maria Horner released her own line of perle cotton and embroidery floss! Anna shares both instruction and projects for counted-thread embroideries and free embroidery. 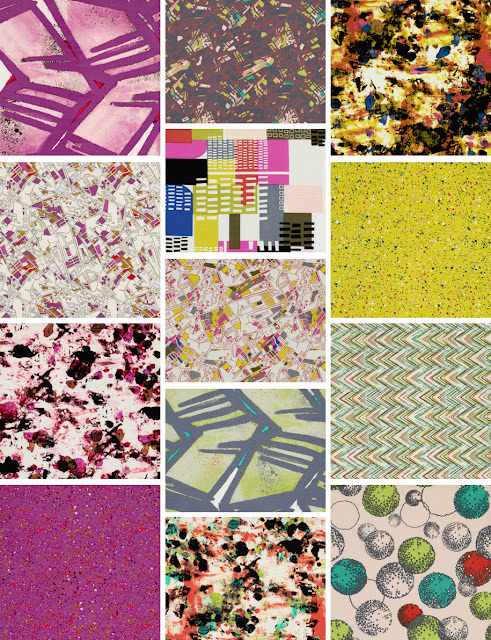 Projects and patterns are in true Anna style - rich colors and sophisticated designs that you will love! 4) Prints Heather Ross -You are probably familiar with Heather Ross's prints - ethereal fairy tales re-imagined in her whimsical illustration style. They are adorable. Many are out of print so you will be thrilled to know that Heather Ross has included a dvd of her prints for you to print out yourself on fabric/paper, you name it! She also has tons of projects for you to do with your new prints - everything from wrapping paper to votive candle holders to sewn garments. There is also a detailed section about creating your own designs in photoshop and how to use digital online printing. 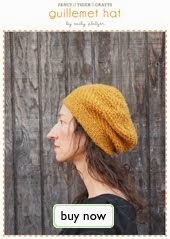 5) Stitched Gifts Jessica Marquez - the projects in this book are so inspiring! Jessica covers gifts for any occasion from weddings to welcoming a new baby to all the holidays. I especially can't wait to stitch up a custom zodiac wall hanging. 6) Gertie's New Book for Better Sewing Gretchen Hirsch - this is the most highly-anticipated sewing book this season and it does not disappoint! 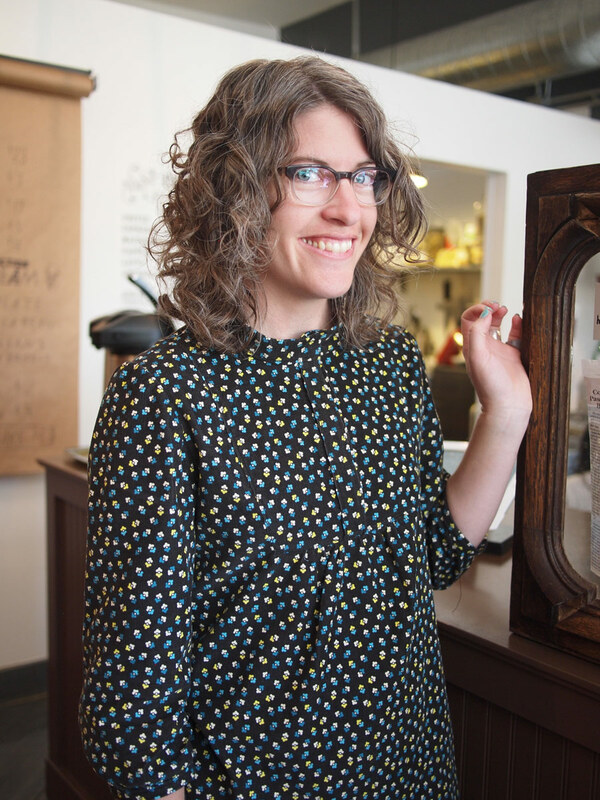 Gretchen has made many fans over the years for her amazing blogforbettersewing and now her tutorials and patterns are collected together into an informative, retro-lovin' book. 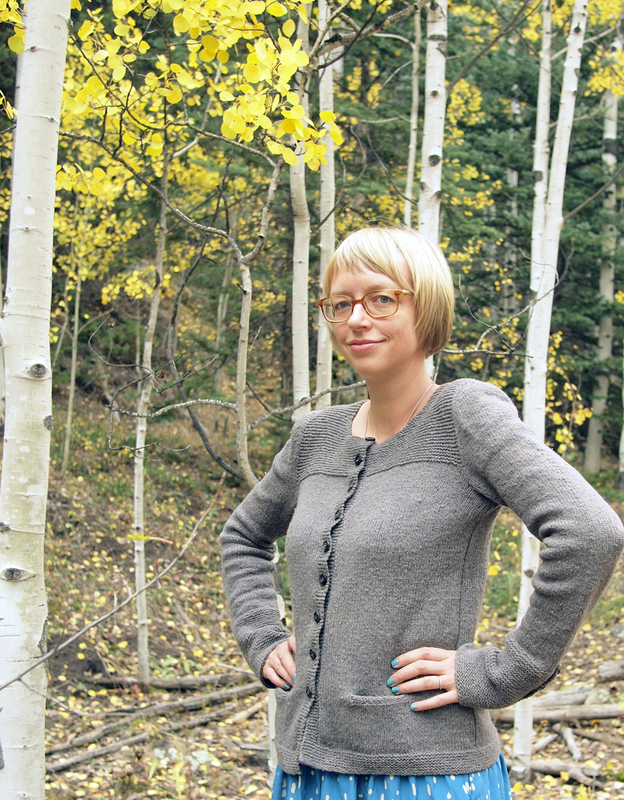 She covers skills for everything from tools to pattern-making and fitting. 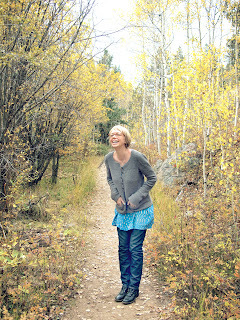 7) New Dress-a-Day Marisa Lynch - Marisa Lynch's takes the fear out of sewing for the fashion-inclined newbie sewist. 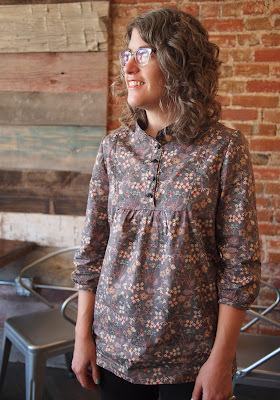 Marisa's guide covers techniques and projects for altering thrift store finds into modern, fashion-forward garments. With chapters like "2 minute Tunics" and "Quick no-sew fixes" even the sewing challenged can have a handmade wardrobe in no time. 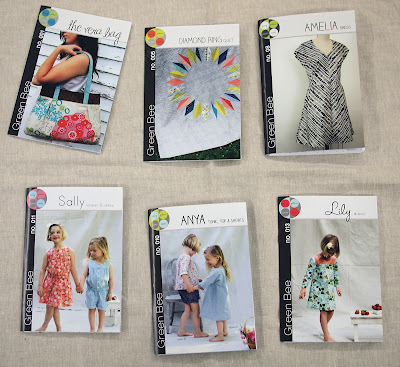 8 ) Hexa Go-Go Tacha Bruecher - We are all obsessed with English Paper Pieced hexagons - now there is a new and modern book full of projects to keep you piecing! Tacha covers all the how's of EPP and then she gives you lots of quilts, bags and wall hangings to make with your new hexagon addiction. 9) Knitting the Perfect Fit Melissa Leapman - The beginning of Melissa Leapman's new book focuses on techniques for shaping - you will never be confused again about which decrease leans what way and where to put them. She also includes sweater patterns with various styles of fit so you can be sure to find one that will flatter every body type. 10) Super Scary Mochimochi Anna Hrachovec - We love all of Anna Hrachovec's quirky designs and it is only fitting that she has released a "Super-Scary" book of her knit creatures. 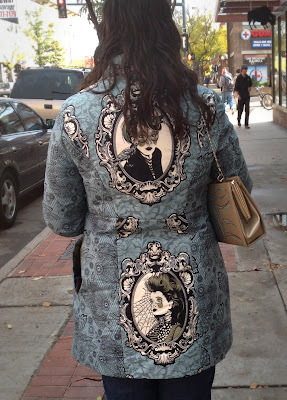 There are patterns for things like "itty-bitty witches" and baby "vampire brats." My personal favorite is the chapter for "mix-and-match" monsters where she gives instructions for various tails, limbs, tendrils and bodies so you can make up your own super-scary monster. 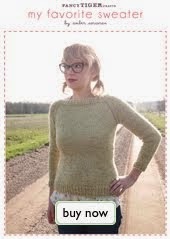 11) Heart Felt Knits Tamara Mello - Of course we're smitten with Mad Men's Christina Hendricks and love that she wrote the foreword to Tamara Mello's new book. If you've been looking to try felting your knits or just need some fresh new projects, check out this book. The projects are modern and sophisticated and include goods for everyone in your life. 12) Felted Feathered Friends Laurie Sharp - Laurie Sharp is the woman behind Woolpets - she has written two amazing books on needlefelting and designs a ton of great kits. 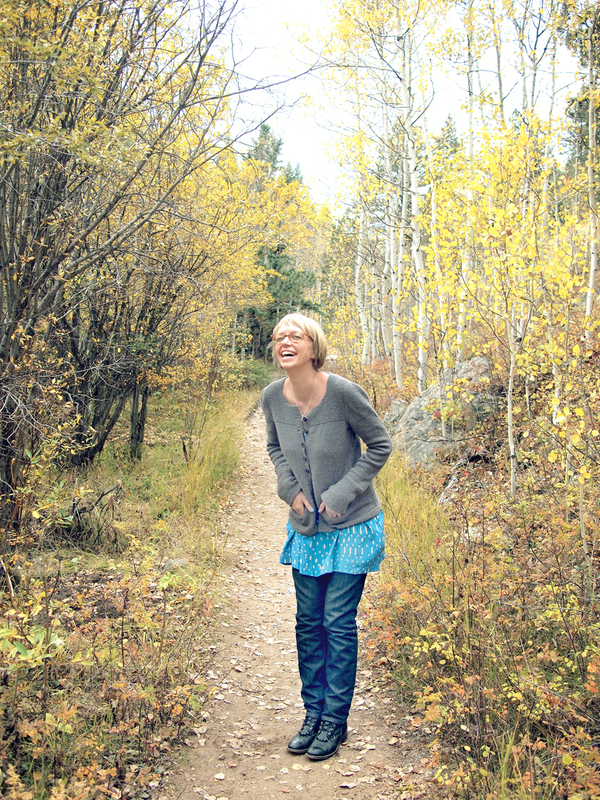 Her newest book is all about birds - one of her specialties. She give full color step-by-step photos for each bird variety so you know you will be successful when you use this book. The holidays are almost here and there is no lack of inspiring projects to get you crafting your heart out for all your friends and family! Bob is one of the crafty regulars at ManMade. 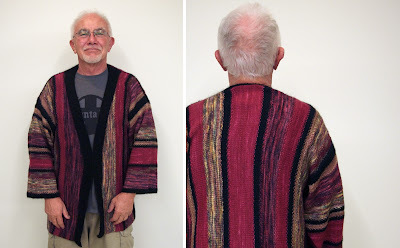 He made this haori style jacket for a friend, using a variety of Malabrigo Silky Merino colors. It was a perfect choice! He even adorned it with one of our "This Took Forever" tags. I am a gardener and a teacher. Crafts are a creative use of time. I am a knitter. 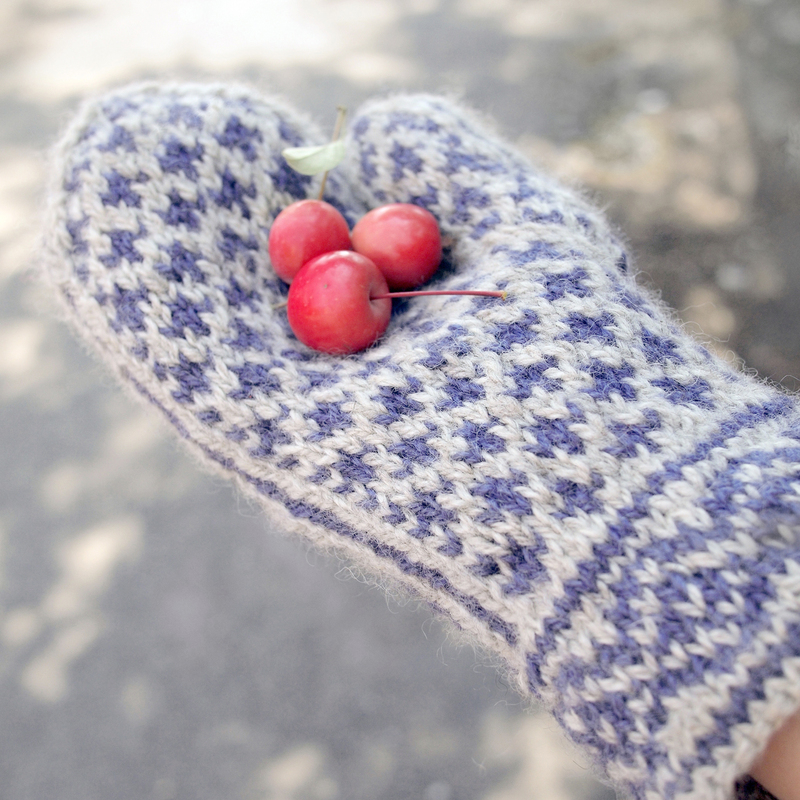 What kinds of things do you enjoy knitting? Over the last 35 years of knitting I've knitted sweaters, vests, coats, gloves, mittens, hats, scarves and recently--lace. Most things I give away. 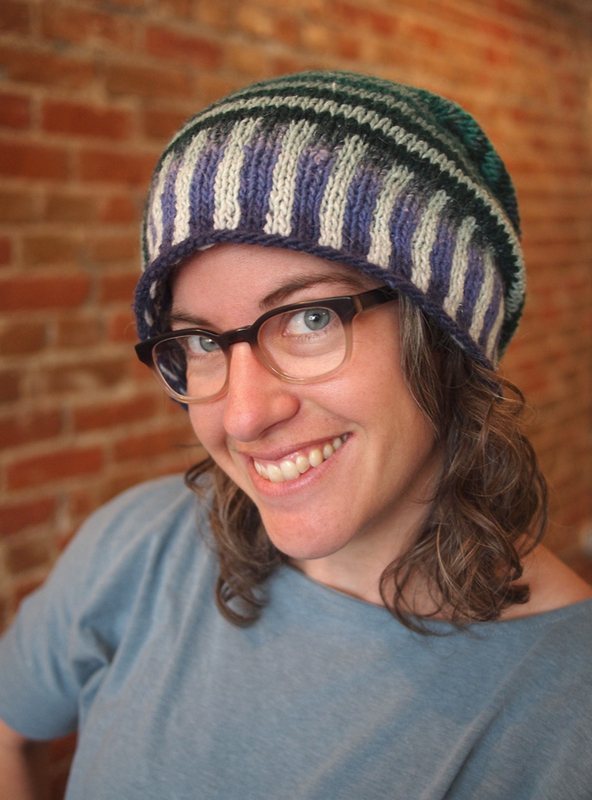 I learned to knit from my mother, but I learned to enjoy knitting from Sidna Farley. She was great--knowledgeable and funny. 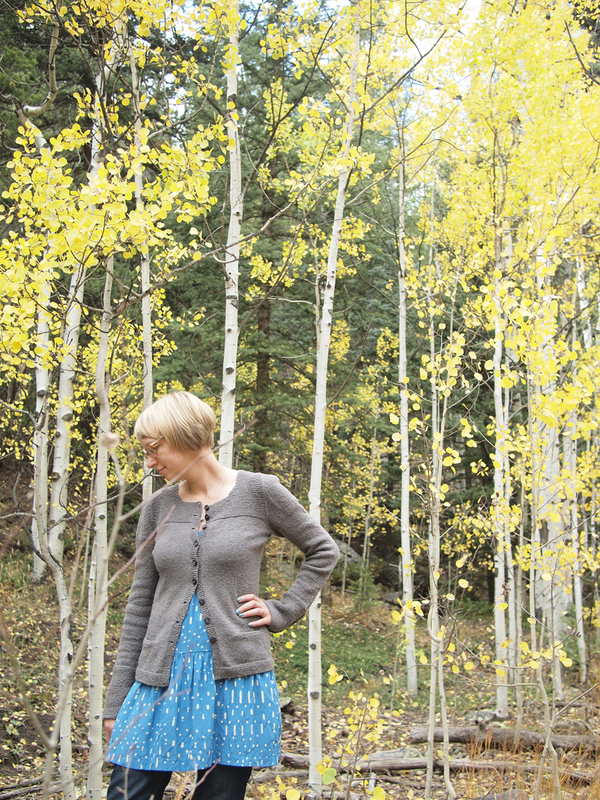 I'm so happy with my new Cria cardigan! 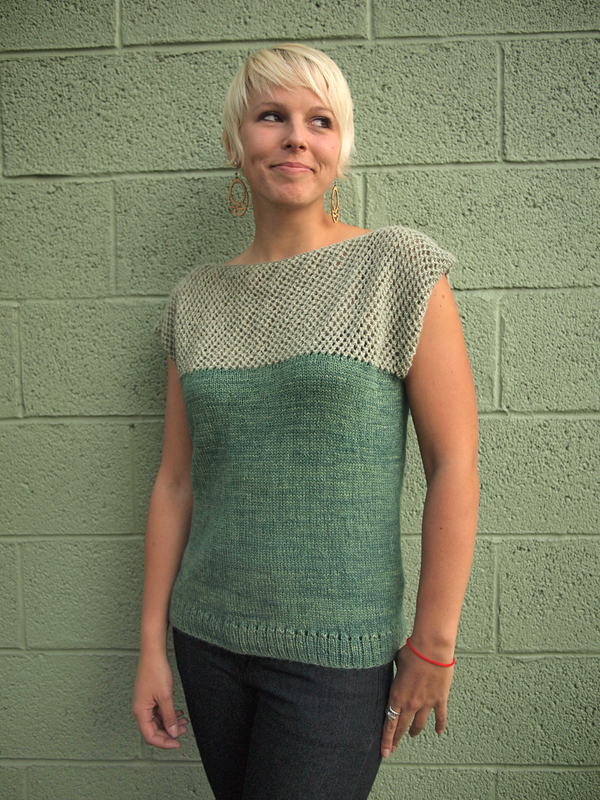 I just finished this knit from Ysolda's book, Little Red in the City. 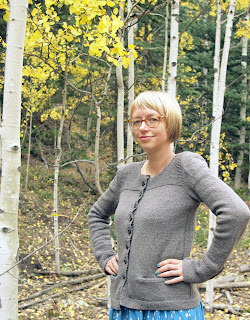 I made my Cria with one of my favorite yarns of all time, Imperial Stock Ranch Tracie in the lovely cool grey, Quail. 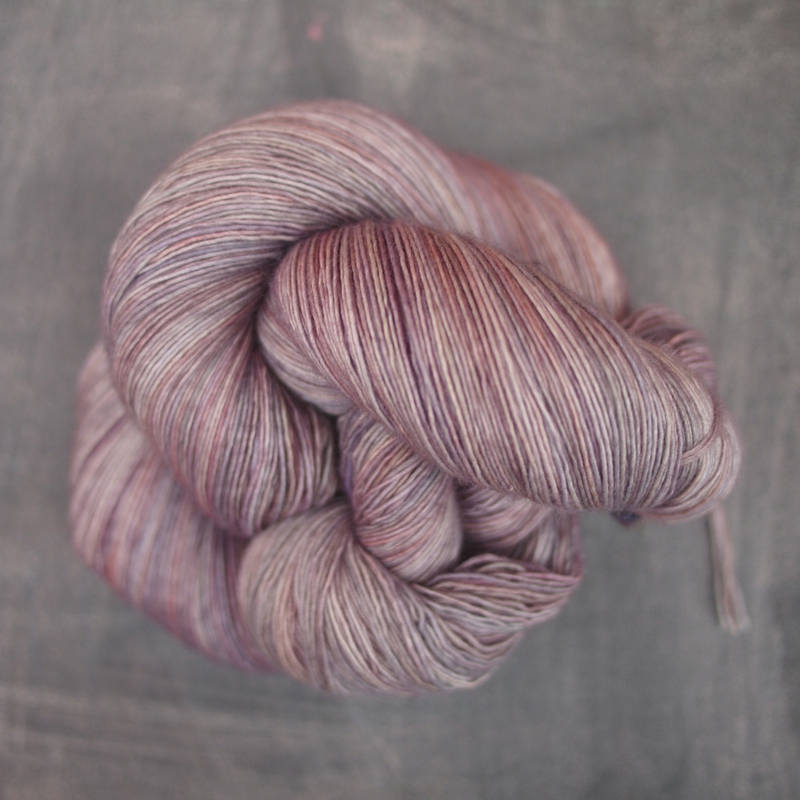 The Tracie acts quite a bit differently than the alpaca silk yarns called for in the pattern. 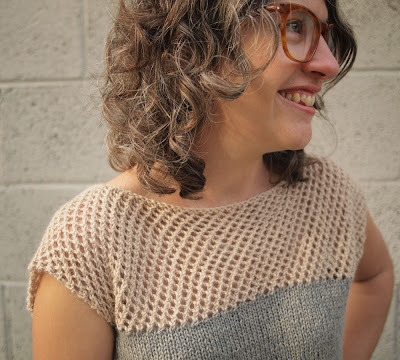 Tracie's springy Columbia wool gave me a shorter row gauge and I ended up knitting several more rows per inch. 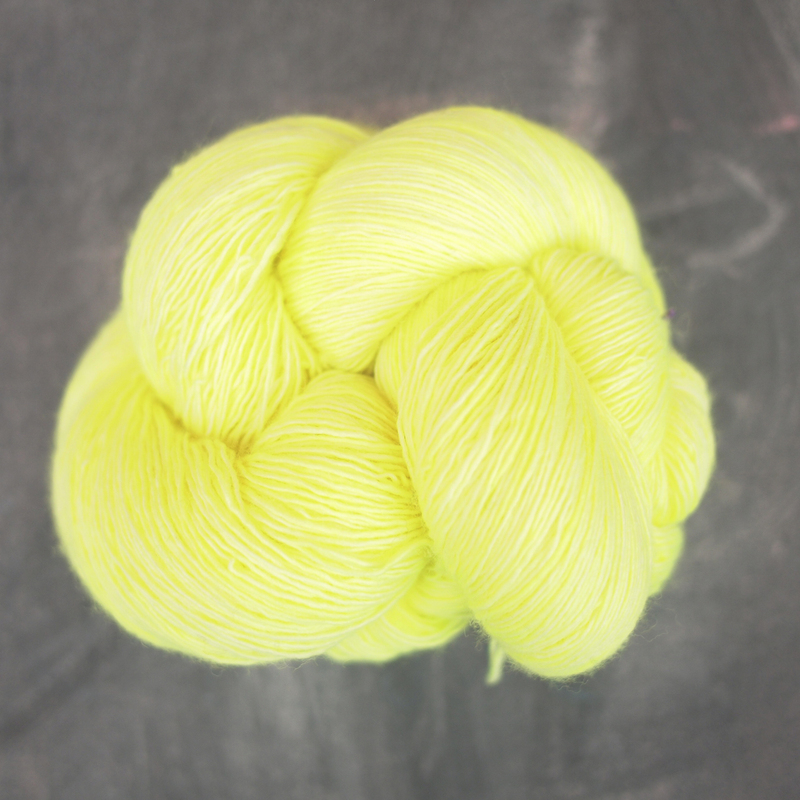 I love the wooly fabric the yarn creates. The garter stitch yoke is simply adorable and the construction of it will blow your mind. 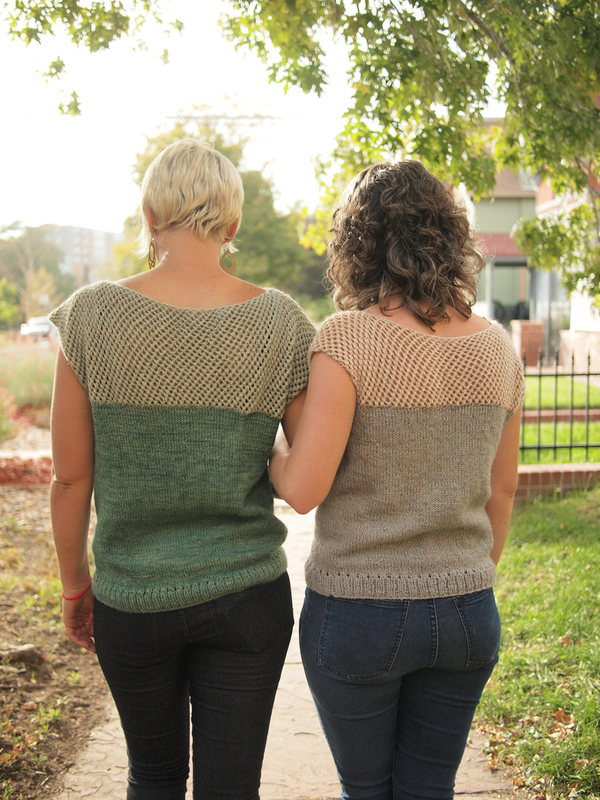 Ysolda uses ingenious short row neck shaping combined with simultaneous set-in sleeves. It's pretty dang awesome. I loved every mind-blowing minute of it. I'm a big fan of all Ms. Teague's details--faux side seams, garter cuffs with buttons, gathered sleeves, teeny pockets. Each detail is well thought out and exciting to knit. 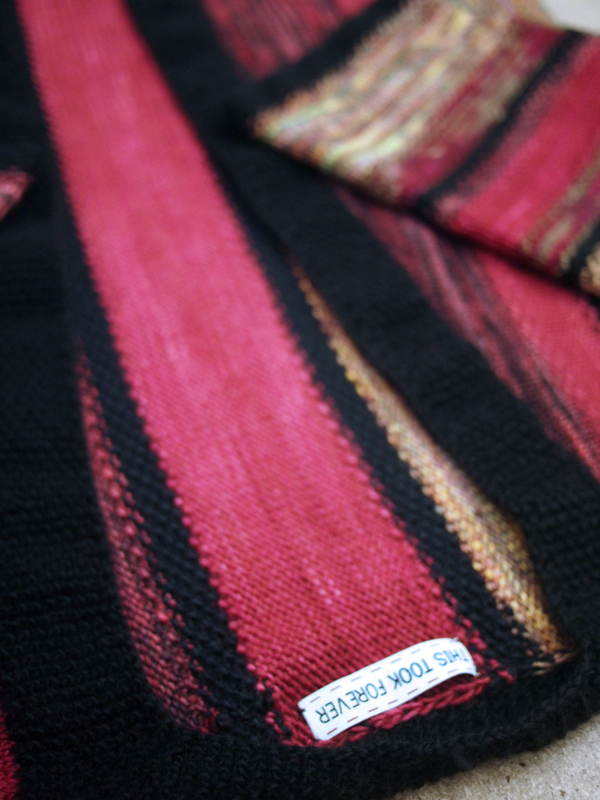 Now that fall is officially here my dear new cardigan will keep my cozy every day! Hooray! 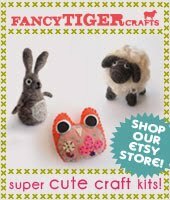 Stephen is an amazing knitting designer which we are so happy to have hosted at Fancy Tiger Crafts for a visit recently. He brought about a million of his knitted shawls to the shop for us to drool over and taught us amazing things about his design process. In his down time, Stephen spent some time in our sewing classrooms whipping up four tank tops and a patchwork shirt. 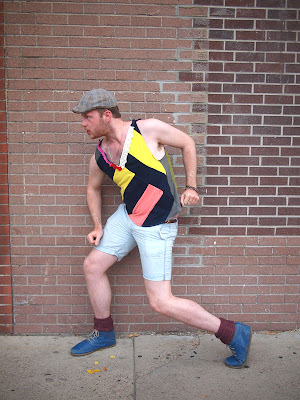 He just might be the most prolific crafter we've ever met. 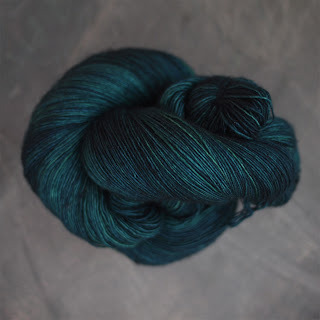 I live in Amsterdam and travel a whole lot to teach knitting workshops. 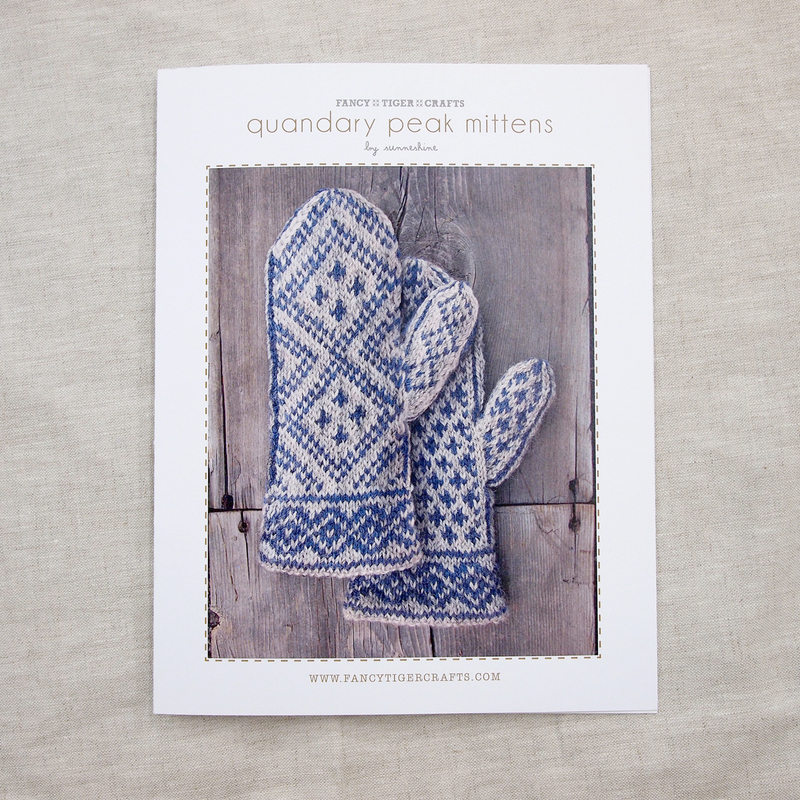 I design knitting patterns and publish knitting books. I like colors and shapes and making things to wear. I also like making videos and practicing jump rope moves. I knit and spin and I pretend to crochet and sew. 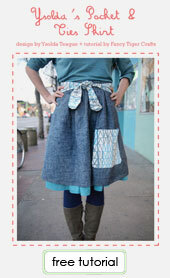 Tell us about your sewing process. I wanted to make a shirt so I picked out some jersey and flannel with my face screen printed on it. 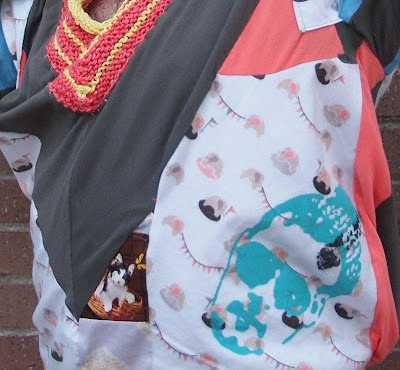 I started sewing and when the shapes didn't match I filled in the spaces with animal fabric. Sweet Stephen face detail and kitten in a basket patchwork! I didn't like the sewn neck I tried so I cut it out and added a knit neckline. I also added a crochet drawstring to the bottom. 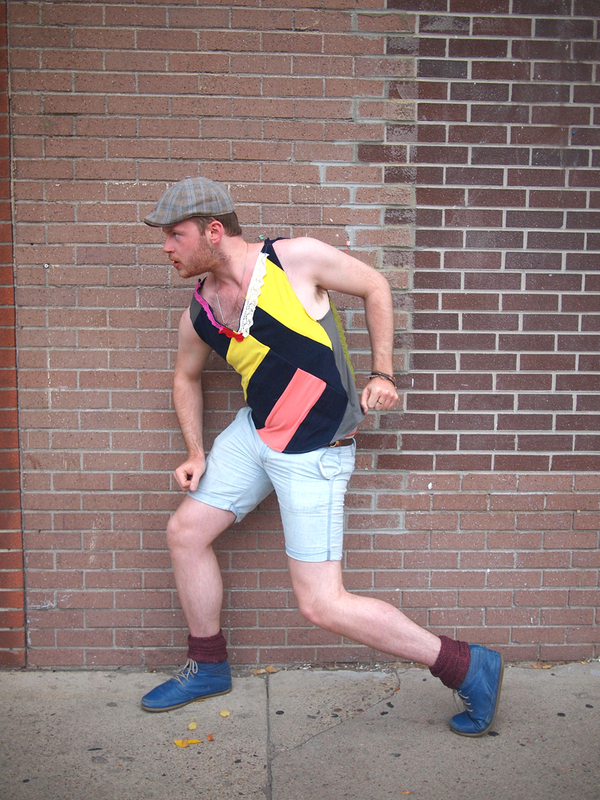 The multi-talented Stephen combines knitting, sewing, patchwork and crochet in one garment! 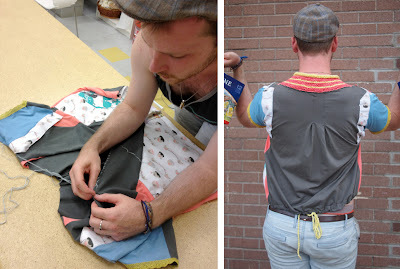 I kidnapped my mom's sewing machine in high school and made pants and lots of bags. I taught myself to be a master seamster. I like foxes. Red foxes. Thanks Stephen! We miss you already! !